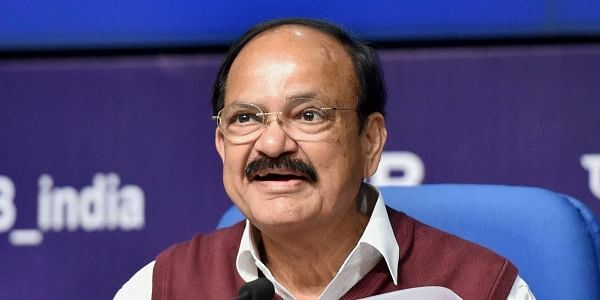 Vice President M. Venkaiah Naidu on Friday said profitability of farm sector had declined and there was a need to bring entrepreneurship in the farming process to increase it. NAGPUR: Vice President M. Venkaiah Naidu on Friday said profitability of farm sector had declined and there was a need to bring entrepreneurship in the farming process to increase it. Unless value chain involving the producer till consumer was created, profitability of farming would not improved, he said in his address at an agriculture conference here. "In the last few years there has been an agrarian crisis and the profitability of farm sector has declined. This is mainly because farmers have medium to small holdings, and poor market access and also too much dependence on few crops and very little diversification," he said, as per an official release. "Entrepreneurship development is an integral part of farming process to increase the profitability of farming." Naidu also said the prosperity of the nation was linked to the betterment of farming community so they needed to be enlightened on the use of modern technologies for achieving sustainability and profitability. Despite being self-sufficient in many agricultural produce through series of revolutions, the increased production had not resulted in proportional increase in the farmers' income, he added.